The manufacture of blister pack packaging became a prominent part of the plastic industry in the 1960s with the introduction of the birth control pill. Over time, it proved to be a more efficient and cost-effective way to provide a container for many pharmaceutical products that had previously been packaged in boxes, tubes and strip packages. Most often formed from PVC (polyvinyl chloride), blister pack is a thermoformed plastic that has a pocket or bubble as its main characteristic and often comes with a paper or cardboard backing. For the pharmaceutical industry, blister pack packaging can provide tamper resistance and can often facilitate a prescribed dosage regimen. The cardboard backing is also found in many other products that are packaged with blister pack. It is widely used because it provides a potential customer with the opportunity to visually inspect a particular item. These products are usually hung from racks and are ubiquitous in retail stores world-wide. A tougher form of blister pack packaging for consumers is known as ‘clam shell.’ This material is thicker and can be more easily heat sealed. Packaging with ‘clam shell’ blister pack is harder to open, prevents tampering and, in general, provides added security for the product. 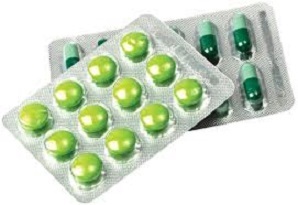 Blister packaging is also widely used in the medical industry. Instead of a push-through backing, the material is thermoformed into a tray that can be sterilized and often has a peel-off top. Recycling of blister pack can be somewhat difficult because the scrap often has the paperboard backing attached. Nevertheless, many facilities can separate the materials and, in the case of consumers, backing materials can usually be easily detached. Some companies (Bausch And Lomb is one) will do this for you if you can take the time to send the blister pack scrap to them via Terracycle. They provide the labels. All in all, blister pack packaging is an inexpensive and practical solution for manufacturing casing that is transparent, durable, tamper proof and easily sterilized.